A transpiler is a type of compiler that takes the source code of a program written in one programming language as its input and produces the equivalent source code in another programming language. public\index.html Web page with a reference to the transpiled output, bundle.js. src\App.fs F# code that is transpiled to bundle.js. README.md Markdown file typically included in projects as an introduction. The app can be viewed in a browser by going to http://localhost:8080. Everything else is replaced with with the modules TicTacToeDomain and TicTacToeImplementation from enterprise-tic-tac-toe-2.fsx. The modules ConsoleApplication, ConsoleUi and Logger are not needed as we’re replacing the console interface with a web interface. For the web interface we’ll use CSS Grid Layout, which is a layout system that after a long journey finally is available in all major browsers. 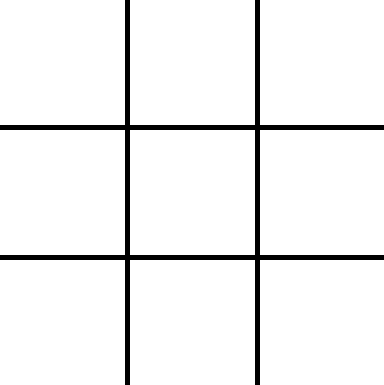 It’s a two-dimensional grid-based system, and as such, it fits perfectly for constructing our Tic-Tac-Toe board, which is basically a grid of 3 x 3 cells. In public/index.html, we add the following HTML to represent the board. A parent div, Board, and 9 child divs with ids corresponding to their position on the board. The ids are identical to the discriminated union values used in the F# code and are used for referencing the divs from the code. In the stylesheet, we specify that the board is to be displayed as a grid of 3 columns with a width of 100 pixels and 3 rows with a height of 100 pixels, and a gap of 4 pixels between each cell. We also add some additional styling, a button for (re)starting the game, NewGameButton and a div element for displaying the status of the game, GameStatus. More about this in the next section. We follow the approach in the original code, but instead of ConsoleApplication and ConsoleUi we’ll have WebApplication and WebUi. We add a click event listener to the NewGameButton element, which calls the WebUi.startGame function with TicTacToeAPI as an argument. The last line initializes the game when visiting the web page. The WebUi.startGame function calls TicTacToeAPI.newGame, which returns a MoveResult that is the result of a move and includes game state and capabilities for the next move, if any. Read Enterprise Tic-Tac-Toe, part 2 to learn more about the capability-centric approach. Next, the gameLoop function is called with TicTacToeAPI and MoveResult as arguments. The gameLoop function is called continuously during gameplay and is defined as a recursive function. When using recursive functions one should be cautious of stack overflow, but in our case the nested number of calls is guaranteed to be small, so not a problem. The MoveResult is matched to determine if the game is tied, won or it is either Player X or O to move. All matches update the GameStatus element, (re)display the board and remove all listeners. If either Player X or O to move, listeners are added for the possible moves. document.getElementById("GameStatus").innerText <- "Player O to move"
document.getElementById("GameStatus").innerText <- "Player X to move"
The displayCells function displays the board. It retrieves DisplayInfo, which contains the state of all cells, as an argument. For each cell the innertext of the corresponding div is set to either X, O or empty (if not played). getUnionCaseName is a function for getting the name of a union case and getIdByCellPosition is a function to get the id of a cell position in order to reference cells (divs) from the code. If either Player X or Player O’s turn to move, an event listener is added for all possible moves. The attached play function constructs a new MoveResult and calls gameLoop to continue the game. | _ -> failwith "Capability not found"
The source code is available at FablelousEnterpriseTicTacToe and you can try out the game below.